Garden weeds may not be the first thing that comes to mind when you think of household pests. However, for gardeners, those stubborn weeds can be just as damaging and frustrating as rodents or insects. DIY treatments can be effective, but it’s important to know what you’re doing. Otherwise, you run the risk of damaging your existing plants, or even putting local animals at risk of illness. If you’re a gardener, you know just how frustrating it can be to deal with a garden full of weeds. Once weeds begin to invade your garden, they can steal water and nutrients away from your other plants. They can also choke and destroy native plants that provide food and shelter for our lovely local animals and friendly insects. Many weeds can cause health problems for you and your family. While some weeds grow stinging barbs and spikes, others can cause respiratory issues, rashes and other allergies. Although many wild plants are edible, never ingest an unknown weed from your garden. Some weeds are poisonous and can lead to serious health complications. When it feels your garden contains more weeds than flowers, it’s easy to feel hopeless! Thankfully, there are a range of products and services available to help you deal with all types of weeds. Some products are sprayed across your garden, injected directly into each weed, or mixed in with your soil prior to planting. It’s important to choose the right product for your needs. If you live in a home with animals or children, you may want to consider a gentler product to reduce the risk of any potential health hazards. There are a variety of strategies that every gardener can implement to reduce the risk of weed infestations. We always suggest acting sooner rather than later to minimise the amount of time weeds have to reproduce and spread across your garden. One of the easiest ways to stop weeds from setting in is mulching your garden. Mulch can prevent weeds from ever seeing the light of day, stunting their growth and stopping them from growing. Another strategy is planting your flowers, shrubs, trees or vegetables nice and close together. This reduces your available garden space, leaving no room leftover for those nasty weeds! 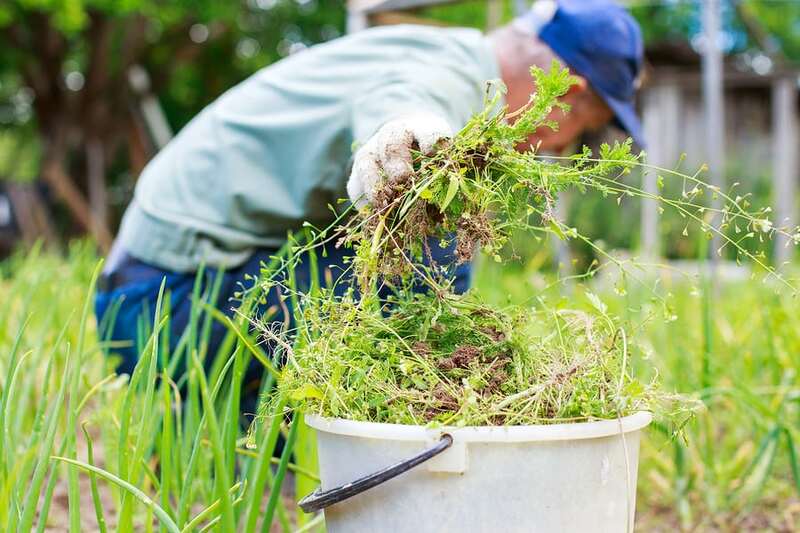 When your garden is completely overrun by weeds, it’s time to give the professionals a call. At AGJ Pest Management, we have years of experience in weed management. With heavy duty products and local knowledge, we can inspect your garden to help it flourish and thrive. Our team can advise you on the best strategy for weed control for your garden. When deciding on a plan of action, we take into account your location, your existing plants, whether you own pets, as well as the types of weed present in your garden.